Ed Sheeran has publicly criticised the Westboro Baptist Church after they picketed a recent Taylor Swift concert. The controversial group stationed themselves outside the ‘We Are Never Ever Getting Back Together’ star’s show after labelling her a “whore” in a recent rant. The organisation have made a name for themselves in being aggressively homophobic, and recently celebrated the death of “fag-enabler” Cory Monteith from Glee, as well as slamming “perverts” One Direction. 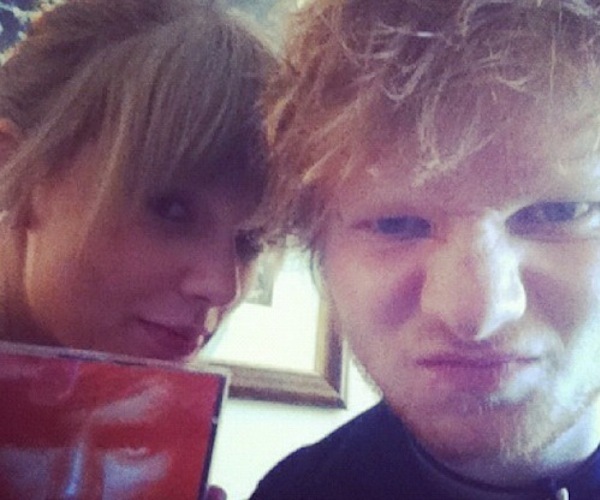 Ed and Taylor have become close friends since meeting over a year ago, and the duet they recorded for her Red album – ‘Everything Has Changed’ – was recently released as a single. Ed has recently said that he has additional songs the pair recorded just sitting casually on his mobile phone. We bet there are a LOT of people who’d want to hear those!